Now with Stainless Steel Bowl. Use Coupon Code SAJ50 during checkout for the unpublished sale price. The Super Angel Juicer 5500 is the best and most reliable juicer for vegetables, fruits, wheatgrass, leafy greens, herbs and sprouts. Super Angel ’s technology, quality and constant exhaustive innovation over the past 21 years, places the Super Angel Juicer as the top in the industry. The Super Angel Juicer has made daily contributions to the development and future growth of the global health industry. Our commitment is to provide our valuable customers with quality products and service is unparalleled in the health industry. The regular consumption of fresh juice is one of the very best gifts that you can give to your body ! The simplest way to eat living food is drinking fresh juice. Fruits and vegetables help build and regenerate our body. 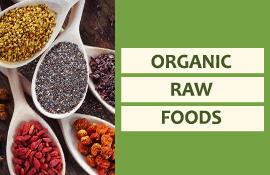 They provide minerals, enzymes, vitamins, carbohydrates, proteins, amino acids and much more when eaten fresh or raw, without cooking or preservatives. One tall glass of fresh juice provides you with the equivalent benefits from eating several pounds of fruits and vegetables. The only guarantee of great tasting quality comes from extracting juice yourself, straight from fresh fruits or vegetables. Nothing tastes better than fresh juice, squeezed straight from fresh produce. The Super Angel is the pinnacle of triturating-press juicing incorporating twin gear technology and it is the answer to virtually all fruit and vegetable juicing needs. With rigorous, heavy-duty construction, the all stainless steel body of the Super Angel is a master crafted, hand-built masterpiece. The Super Angel features solid, surgical-grade stainless steel twin gears running at 3 HP grinding force. With such precision engineering, the Super Angel can crush cellulose fibers, breaking up cells in vegetables and fruits - extracting nutrients locked inside such as: minerals, vitamins, enzymes, amino acids, and complex carbohydrates. The Super Angel is also the most reliable seed juice extractor in the world. Our long term tests of this machine have shown it to be significantly more user friendly than other twin gear juicers, removing the need for pulp pressure controls and offering easier assembly. The-state-of-the- art technology with the Super Angel Juicer's built-in all stainless steel construction will let you enjoy your maximum juicing pleasure. You will love this beautiful, precision engineered machine. The quality and performance power have been proven by customers using this living juice extractor everyday. Your Long, Healthy, Productive Life is our Goal ! 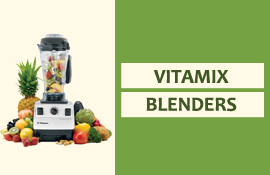 Own the reliable, premium juicer for your peace of mind ! Its time you owned a reliable, premium juicer. Free from the hassles of far too many parts to assemble and clean. The Super Angel Juicer is truly hassle-free ! 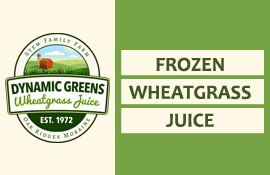 If you would like to seriously juice, we would recommend a more expensive juicer that triturates (grind into very fine particles) and presses with a slow RPM (keeping enzymes intact and generating no heat) that guarantees to juice the most fibrous green vegetables and grasses. You will find that The Super Angel Juicer will more than repay itself both in the quantity of juice extracted (three times more juice in many cases) and in its mineral quality which can nearly double that from the more traditional juicers. The Super Angel is the most advanced living juice extractor with all stainless steel construction in the world. The Super Angel , is celebrating more than 21 years in business, is a worldwide leader of living juice extractor. The Super Angel 's technology and quality control through the constant and exhaustive innovation over the past 21 years places the Super Angel Living Juice Extractor as one of the top in the industry. The Super Angel has made daily contributions to the development and future growth of the global health equipment industry. 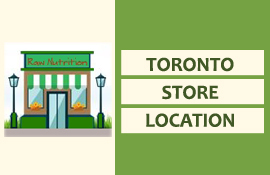 Our Commitment is to provide our valuable customers with quality products and service unparalleled in the juicer industry. It is our privilege to serve our customers in any way we can. The Super Angel Living Juice Extractor will juice almost anything from carrot and apples to wheatgrass and spinach. It is not limited to just regular juicing but you can enjoy soy milk and delicious tofu. The revolutionary, all stainless steel design incorporates a twin gear impeller press system that powerfully rotates at a low 86 rpm(the most ideal speed), that can keep all enzymes and nutrients alive in the juice. 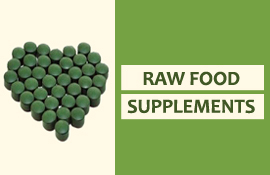 Here is to your health, pure and natural juice free from preservatives and additives. Now you can extract all your favorite fruits and vegetables and keep all of what nature intended. The Super Angel Juicer's continuous pulp ejection allows for high quality juice production in a quick and efficient way. The only guarantee of great tasting quality comes from extracting juice yourself, straight from fresh fruits or vegetables. The Super Angel Juicer will give you juice Pure and Straight the Natural Way . Nothing tastes better than fresh juice, directly squeezed straight from your garden fresh produce. Compare all the features and see the extra value for your health. The Super Angel Juicer has all stainless steel gears with no plastic parts. For those seeking the best possible juice from everything this is our first recommendation. The large juicing gears of the Super Angel Juicer are over 8+3/8 inches long and unlike others they have no plastic parts, being made entirely of surgical-grade stainless steel. The precision engineering involved in manufacturing these gears offers the ultimate in breakdown of fruit and vegetable fibers and delivers the best possible nutrient extraction. These gears rotate at a lower speed(86 rpm) than other models, preserving nutrients and producing juices with a longer shelf life. Twin Gears are solid stainless steel (sus304) but other brands use a lower strength stainless steel (sus303) and have plastic ends that can break. If juicing is a hassle, you won't do it. This is by far the most important requirement because the easier a juicer is to use and clean up, the more often you will use it. It is very well built, simple to clean and easy to use. From the first time you juice with the Super Angel Juicer, the excellent build quality is obvious and it is the sturdiest twin-gear machine we have used. The clever "push down" front clamp and simple three-step assembly make it the most user friendly juicer in its class. The Super Angel features solid, surgical-grade stainless steel twin gears running at 3 HP grinding force. With such precision engineering, the Super Angel can crush cellulose fibers, breaking up cells in vegetables and fruits - extracting nutrients locked inside such as: minerals, vitamins, enzymes, amino acids, and complex carbohydrates. This all results in a darker, richer color of juice and a sweeter, richer more full-bodied flavor. The Super Angel is also the most reliable seed juice extractor in the world. You can taste the difference as more nutritional value is extracted from a vegetable, more pigments or color are also extracted. This is why Super Angel prepared juice is darker and richer in color when compared to that of other juicers. The difference in quality is also apparent in taste. Juices extracted by Super Angel Juicer are richer and offer a more full-bodied flavor. Enjoy Fresh, Enzyme-Rich, Live Juice from The Super Angel Juicer ! Blockages from overload or jamming can easily be cleared with the reverse action switch . It prevents motor overheated. Super quiet ! 10 Year Manufacturer’s Warranty Motor and parts. Top Quality Stainless Steel Juicer! I find this juicer to be of excellent quality. It feels solid and durable. No cheap plastic juicing parts that could break easily. The stainless steel gears are heavy and powerful when in action. All in all I really think the super angel 5500 juicer will out live 10 fold all the other juicers I have owned. The included accessories are quite ordinary considering the high quality of the juicer but still useable nonetheless. If you are looking for a long lasting juicer and price is not an issue then this Angel juicer is a great choice. Loving it, I am Juicing for a healthier life!